When it comes to choosing overhead doors for your home or commercial property, quality is key. It’s important to work with a garage door company that carries only the best brands. Felluca Overhead Door is the leading overhead door company in Rochester, NY, offering only the best quality garage doors available. LiftMaster® has been manufacturing quality overhead doors for more than 45 years. Throughout this time, their hard work and innovation have made them one of the best garage door brands. LiftMaster® products are designed to fit any lifestyle, ensuring a safe and secure point of entry for both residential and commercial applications. History: With nearly five decades in the garage door industry, their ingenuity and leadership can’t be beat. Over the years, their products have grown and adapted to the needs of homeowners. Dedication To Safety: LiftMaster® is dedicated to safety above all else. They have even championed a mission to ensure all their garage door openers, gate operators, and commercial door operators are as safe as possible. Innovation: From garage door openers and gate operators to keyless entry and access control systems, LiftMaster® continually finds innovative solutions to help customers run their homes and businesses more efficiently. Felluca Overhead Door proudly collaborates with LiftMaster® to provide reliable garage doors to homeowners and business owners throughout Rochester, NY. 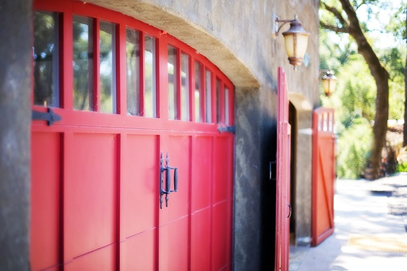 For garage door repair, maintenance, and installation services you can trust, Felluca Overhead Door is the best choice. Visit them online or call (585) 467-2391 to learn more about the wide selection of LiftMaster® garage doors they carry.